Tomatoes are playing a vital role in all cuisines because of their colour and taste. 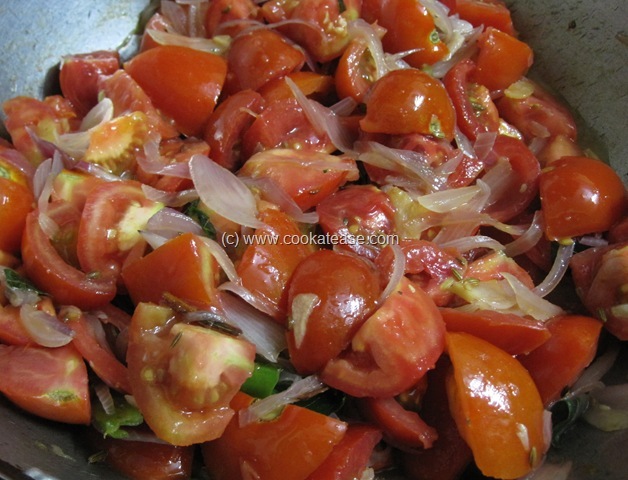 There is no day in my kitchen without tomato. 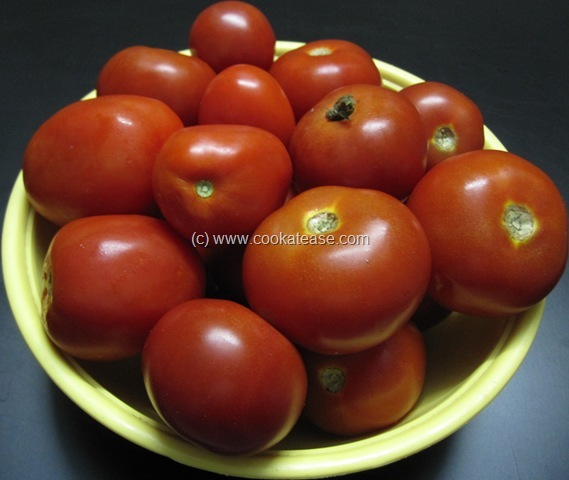 In Indian cuisine, tomato is used in almost all dishes including salad, pickle, spread, sauce, soup, jam. In south India raw tomato (green) is also used in cooking. They come in oval and round shapes. 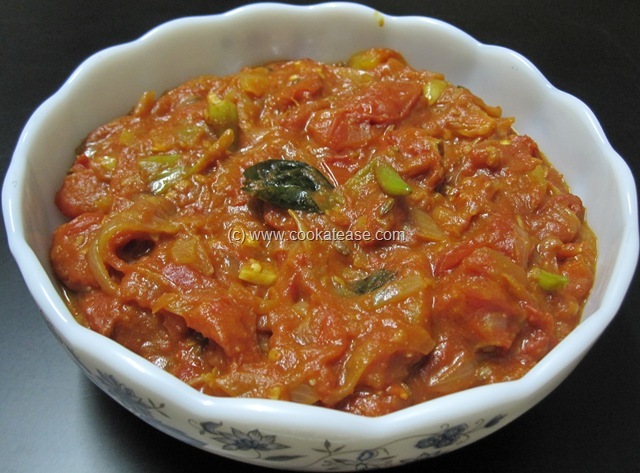 Here I have prepared Red Tomato Spicy Spread, with juicy red tomatoes that can be used as side dish with rice, chappati, poori, paratha, idli, dosa etc., It can be used as a spread with bread. It can be simply mixed with rice and can be served as instant tomato rice. 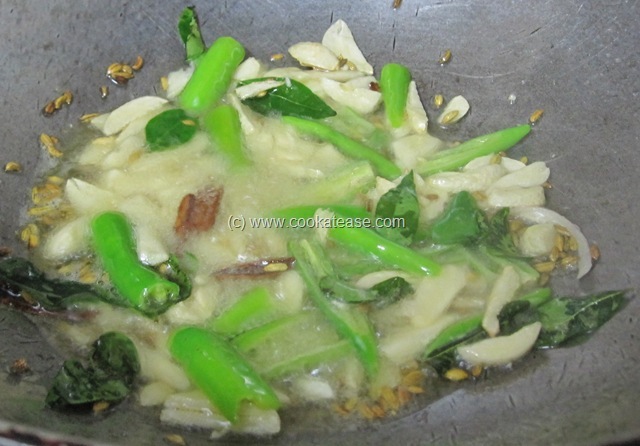 It can be keep it in fridge and used for almost a week. This is useful during long journey, picnic as this spread remains fresh even for a day or two without refrigeration. 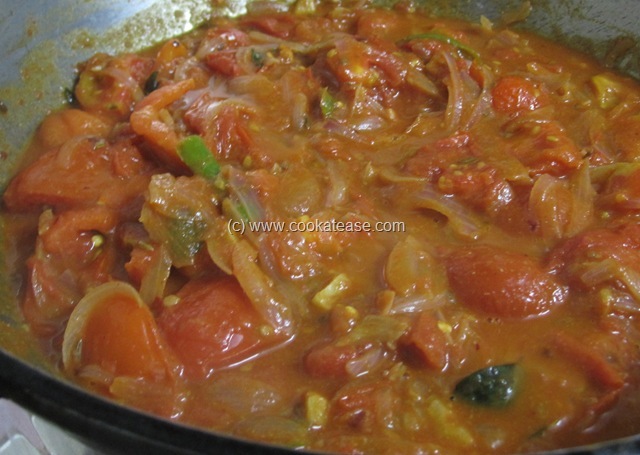 In Tamil, it is known as Thakkali and in Hindi as Tomatar. 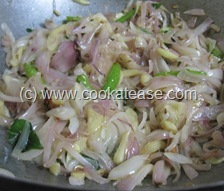 Chop tomato into big pieces; chop lengthwise onion, garlic and green chilli. Heat a pan with oil and do the seasoning; add garlic, green chilli and fry for few seconds till garlic becomes golden; add onion and fry till onion is soft. 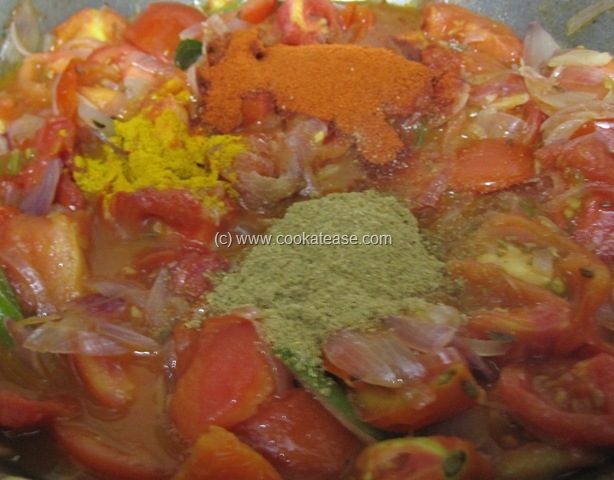 Add chopped tomato, salt and fry till tomato is half cooked; add dry spices, sugar and cook in open for 10 to 15 minutes; stir in between. Cook till moisture evaporates and the mixture leaves sides of the pan. 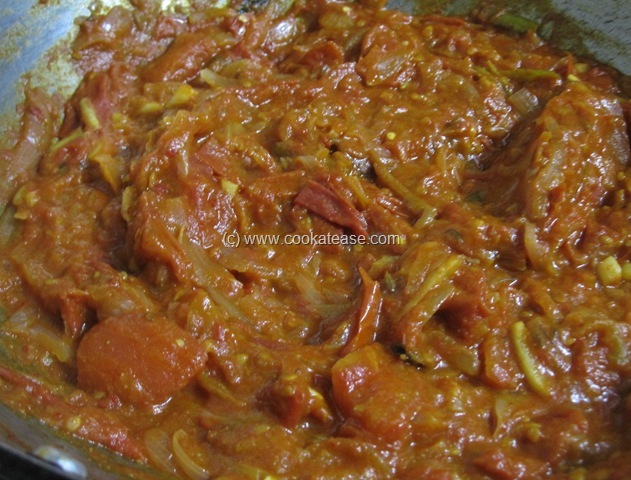 Now spicy red tomato spread is ready. 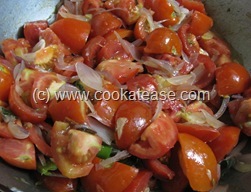 Chopping tomato into big pieces retain juice within tomato, reduces cooking time and also avoids to become like chutney. Sugar helps to balance the taste of spread overall. 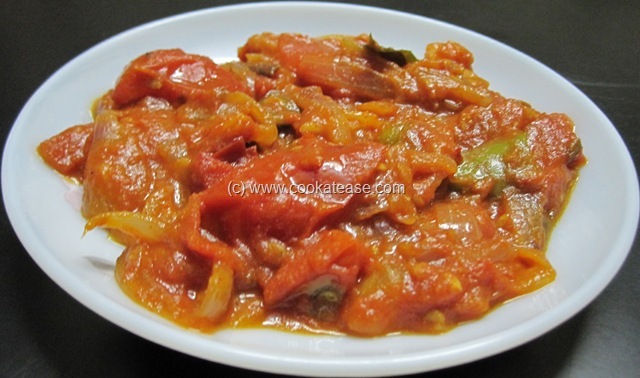 My fav ..looks so tangy and colorful..